When a child gets a cavity that involves more than two surfaces of the tooth, especially the first primary molars, it is often necessary to place a crown on the tooth to restore it. Teeth that have had previous pulpotomy treatment (nerve treatment) may require stainless steel crowns to provide strength to withstand the forces of chewing. 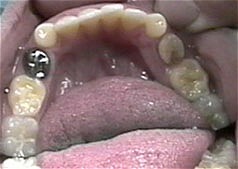 Because the primary teeth are so much smaller than the permanent teeth if decay is not detected at a relatively early stage the amount of tooth left after removing the decay may not be sufficient to support a filling for any appreciable length of time. Stainless steel crowns are a more predicitable and longer lasting restoration for teeth that are in need for large surface coverage. In pediatric dentistry we use stainless steel crowns instead of porcelain or gold/porcelain. Because the tooth will be lost within a shorter period of time stainless steel crowns are more than adequate to restore these teeth. Pembroke Pines Dentist | Stainless Steel Crowns. Marc Siegel is a Pembroke Pines Dentist.